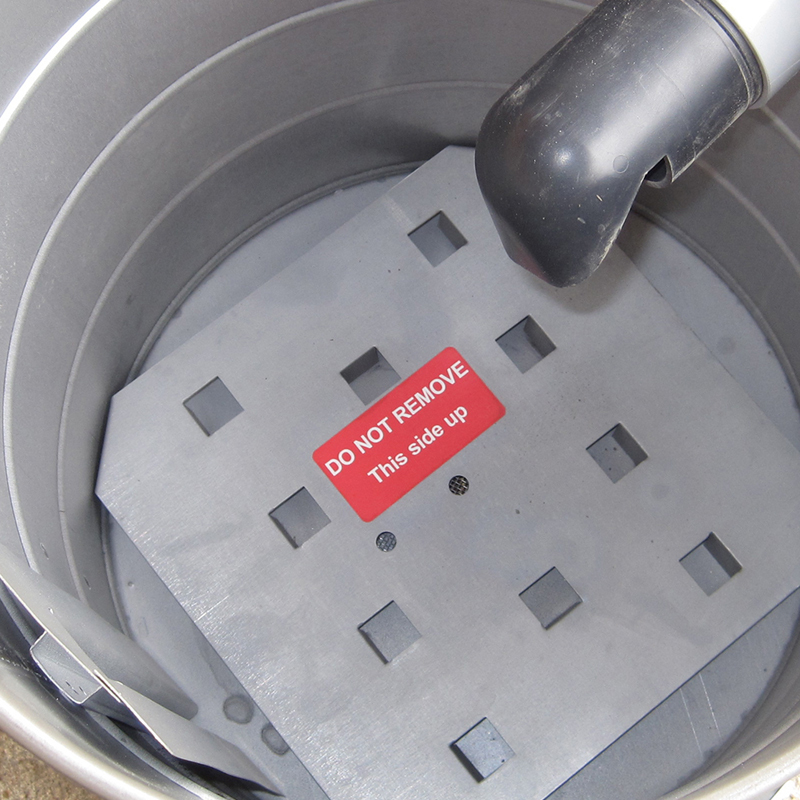 Remove the lid by lifting straight up (figure 1d). There are no hinges or clamps. 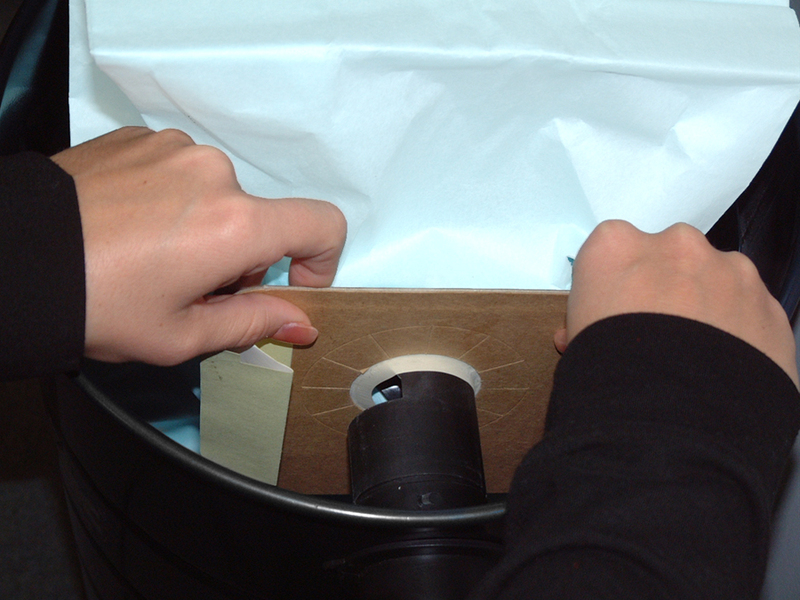 Remove the bag by sliding the rubber gasket that surrounds the hole in the paper bag off the plastic inlet stem that protrudes through the side of the canister (figure 2d). 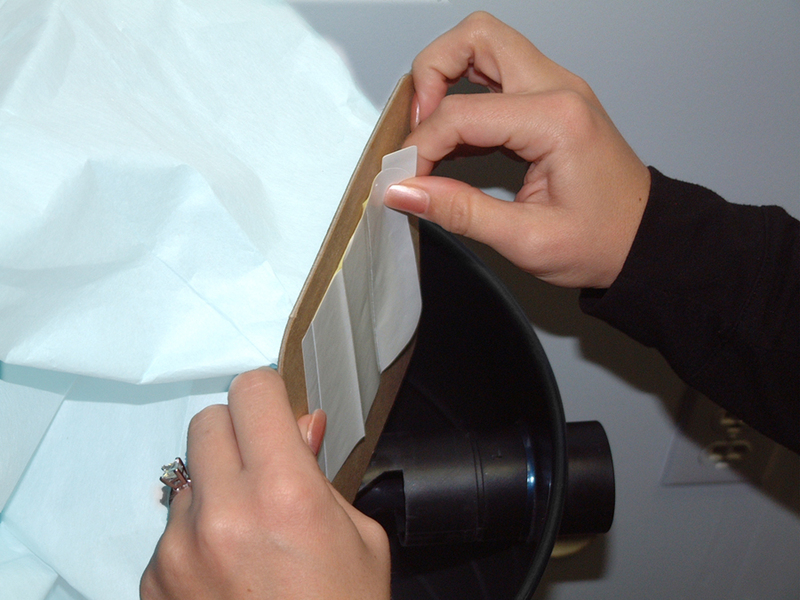 Once the bag is off of the inlet stem, seal the bag by removing the backing from the tab and cover the hole with the flap. 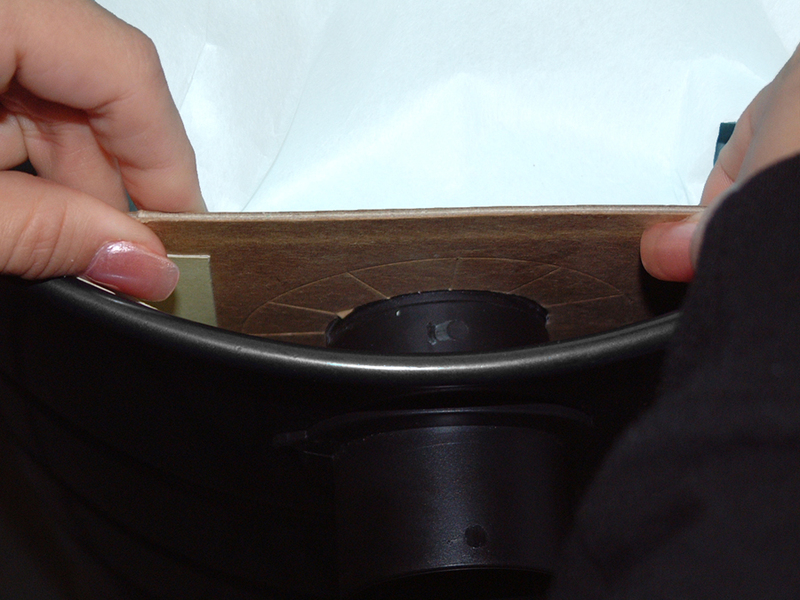 Press the flap so that it securely seals over the hole (figure 3d). This will help prevent dirt and dust from escaping. Now, lift the paper bag from the dirt canister and place in a suitable trash container. Take a new bag and extend it fully (figure 4d), place it in the canister, and slide the rubber gasket onto the inlet stem until the rubber gasket drops into place in the ridge that is around the inlet stem (figure 5d). Carefully replace the lid onto the dirt canister to ensure that it seals properly.Not doing so could cause a vacuum leak and reduce the cleaning efficiency of your system. NOTE: This step is only required in the event that the bag breaks. If bag breakage does occur, it is necessary to lift the plate located under the bag and clean the small screen. HOW OFTEN SHOULD I CHECK OR EMPTY THE PAPER BAG? Bag Protector Plate. Do not remove this plate. Make sure the Protector Plate is in place. This is necessary for proper suction. Upon receiving your vacuum system, lift off the lid. The protector plate should be located inside the can just below the HEPA bag. 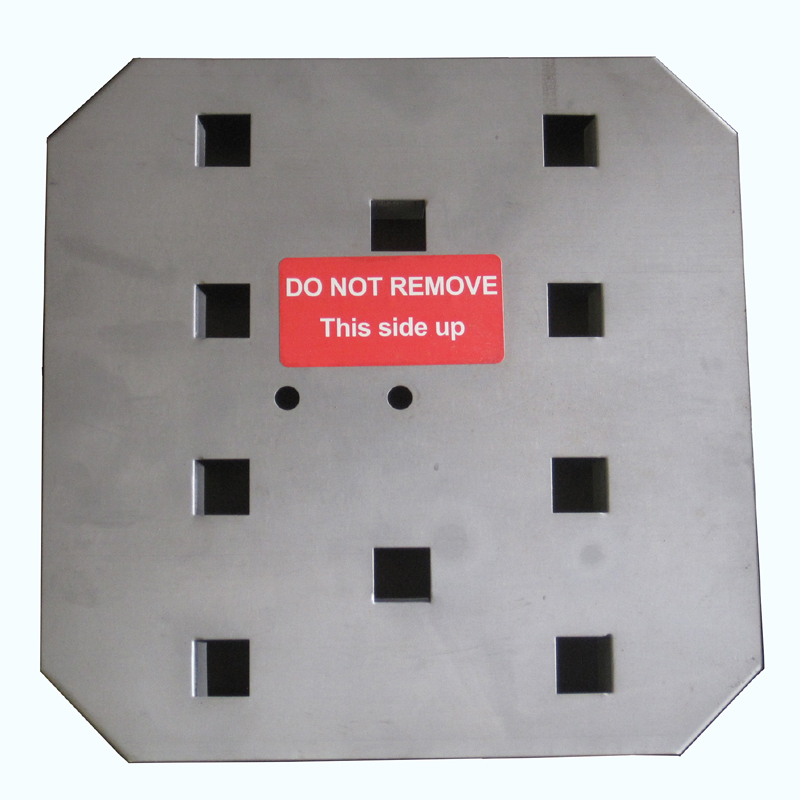 The protector plate is installed correctly when it lays flat, prong side down, directly under the HEPA bag. The warning label should be facing up. 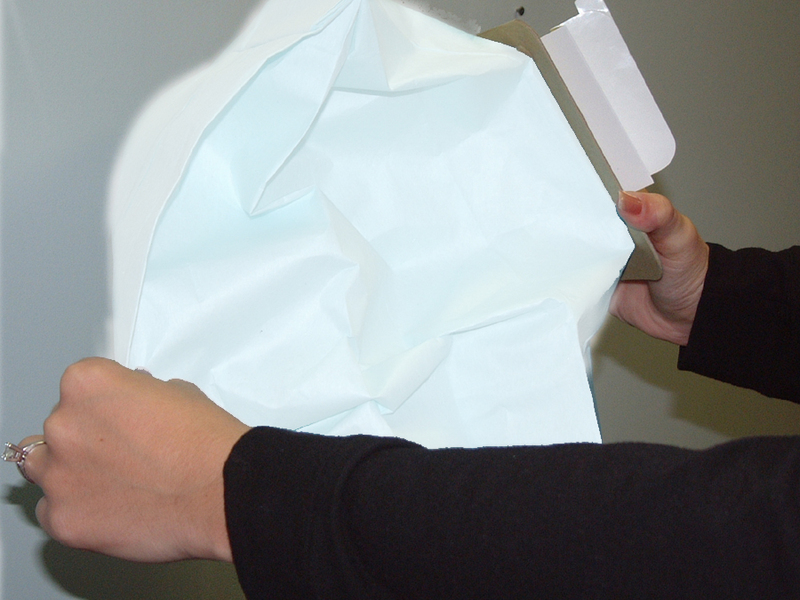 The plate provides a barrier between the HEPA bag and mesh screen. This allows air to circulate preventing the motor from overheating. Do not to throw this part away.